blank | Welcome, visitor! | The aim of this website is to provide information about many species of moths and butterflies around the world, with a slight focus on rearing them in captivity. 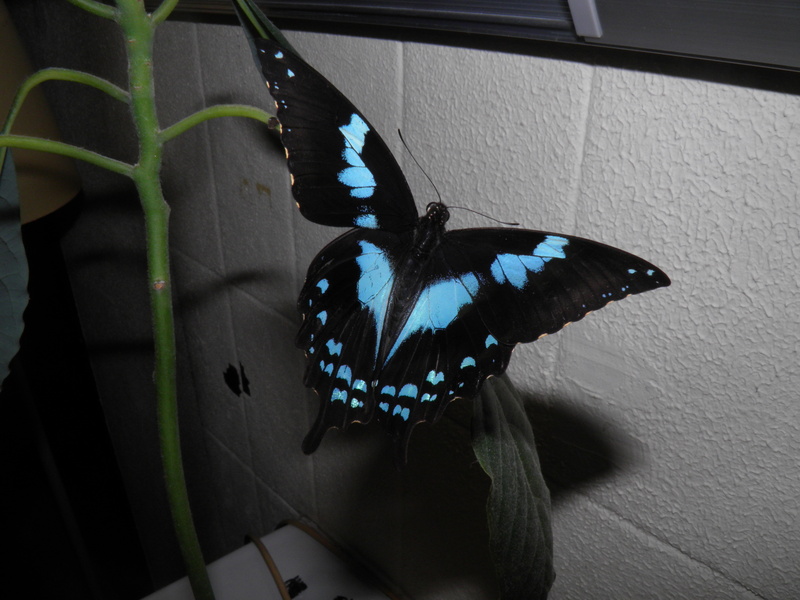 Papilio epiphorpbas, the “teardrop swallowtail”, is a swallowtail endemic to the island of Madagascar (Africa). While little is known about this species and obtaining livestock may be hard, raising them is possible, though the lack of concrete information may make it challenging. Papilio epiphorbas, the teardrop swallowtail, is a swallowtail butterfly that is endemic to the island of Madagascar. Because of their obscure and endemic nature, they are not commonly bred or reared. While literature is lacking, they are rumoured to feed on Vepris (Rutaceae – unconfirmed). In captivity they will accept Citrus or Choisya, though one may experience significant losses when rearing them on these host plants – some individuals will still survive. Perhaps, by selecting these individuals, one may produce a F2 generation that has adapted better to Choisya or Citrus, making them easier to breed. The larvae are best raised freely on the host plant, or as alternative, in bottled cuttings of host plant. Interestingly however this species seems to do well in plastic boxes too – something that is Papilionidae larvae do not commonly tolerate, as they are prone to getting infected and sick when reared in plastic boxes. Papilio epiphorbas seems to be an exception to this rule. The larvae are beautiful and in the final instar their thorax is decorated by bright pink dots and yellow ocelli; and in the skin fold between their thorax and abdominal segments they have a bright blue skin flap that is revealed when the larvae assume their threat pose. The butterflies are reported to pair and oviposit easily, if one has a greenhouse-like setup for butterflies. Experimenting with host plants should be worthwhile, since not a lot is known about the host plants of Papilio epiphorbas. After feeding for about 1.5 month (depending on temperature) on the host plant, the larvae will spin a girdle and pupate against a surface (like many Papilionidae do). The pupae will hatch in about 3 to 4 weeks time (once again depending on temperature). 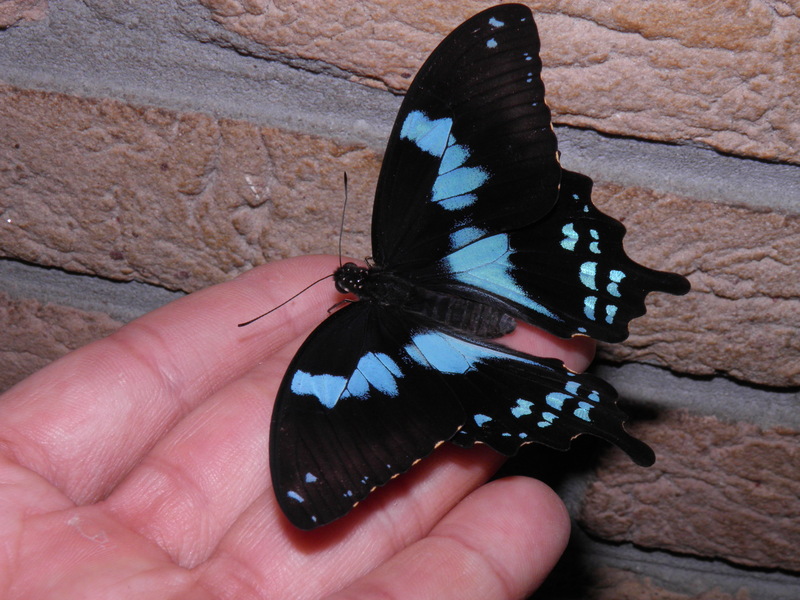 All in all, Papilio epiphorbas is a pretty fun and obscure species from Madagascar, and an excellent opportunity to breed something unique. 1/10 – This rating means that breeding this species could not have been easier in any other way – even people with no experience with keeping Lepidoptera at all can do it with great succes and little effort, and that it would be harder to fail than to succeed at breeding this species. 2/10 – This rating means that this species is one of the easiest to breed species available in the hobby, and that succes almost always can be guaranteed if one follows the basic instructions and requirements needed for breeding it, even if you have no experience with Lepidoptera at all in your life. 3/10 – This means that this species is extremely easy to breed – even for beginners with minimal experience. If you follow the instructions of caresheets, succes is nearly guaranteed and it is easy to provide for the basic needs of this species. 4/10 – This rating means that this species is easy to breed – but you will need a little experience and basic knowledge of moths to be succesful, but not much else. It is easy to be succesful if you put in the effort of meeting the basic requirements for this species. 5/10 – This rating means that this species is not hard to breed, but you will need some experience with Lepidoptera or just common sense when it comes to insects to be succesful. While it is not hard to be succesful, you will still need to put in a little effort to be able to make it, although it is not hard to provide the basic needs of this species. 6/10 – This rating means that this species is more difficult than average to breed, and you will need to understand the biology of this species and immerse yourself in their life cycle in order to be succesful. You will need all the basic knowledge and experience. While it is not hard to be succesful, you will need to do a little research in order archieve succes. 7/10 – This rating means that this species is challening to breed, and that you will need some advanced experience in order to be succesful. This species can be picky or sensitive, and livestock may quickly die or struggle if the conditions are not met. It also means that succes is never guaranteed with this species, even for experienced breeders, since they can be prone to death. 8/10 – This means that this species is hard to breed, and that you will probably need to have a lot of experience in order to be succesful. This species will be hard to keep alive, even for the most experienced breeders and that it is hard to be succesful with them. 9/10 – This means that this species is extremely hard to breed, and that you will need extensive experience just to keep them alive. Even the most experienced and knowledgeable people will struggle to breed this species, although it is possible to do so if you have studied them well. 10/10 – This rating means that it is possible to breed the species in theory, although it is nearly impossible in practice, and (almost) nobody has done so before with succes. This could be because it is a species with extraordinary needs that can hardly be met in captivity, or because they are very sensitive to certain conditions and very hard to keep alive. Even experts fail at breeding it. In order to breed it, you will have to push past the limits all currently available knowledge, and come up with a solution nobody has thought of or tried before. ?? ?/10 – This rating means that I have no clue what to rate them, because either I have A) not completed the lifecycle myself, so I have not experienced the “complete” picture and cannot rate it, or because B) This species has such a weird and unique biology that is different from all other Lepidoptera, that it is impossible to compare it with all other species I have bred. Rothschildia cincta is a predominantly Mexican species of Rothschildia moth. However, a part of its range extends across the border of Mexico into a small part of North America (Arizona), making it one the few Rothschildia recorded in the United States. Natural range: Brazil, Argentina, Bolivia, Uruguay, and other places in South America. Special notes: The caterpillars can have a very rare yellow colour form. Citheronia laocoon is a beautiful Citheronia species from South America. Remarkable are its colours, but also the sexual dimorphism – while males of Saturniidae are generally smaller than the females, Citheronia laocoon takes it to the next level with males that are half the size of females. They seem to be very easy to breed. Citheronia laocoon occurs in South America, mainly in Brazil, French Guiana, Bolivia, Argentina, Paraguay. 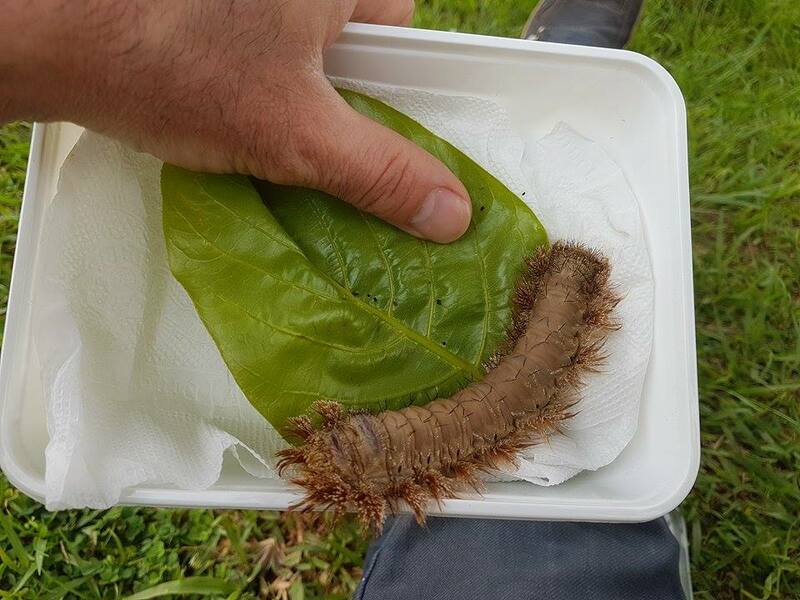 They seem to be very polyphagous – in the wild they are commonly found feeding on Ricinus communis (castor bean). They will take a wide variety of plants and feed on Rosaceae too; I myself have raised them on Prunus padus and Liquidambar. Ligustrum has also been reported. The most important thing is to keep this species well ventilated. While they tolerate high humidity extremely well, Citheronia dislikes stale air and lack of ventilation. It is best to cage or sleeve them. 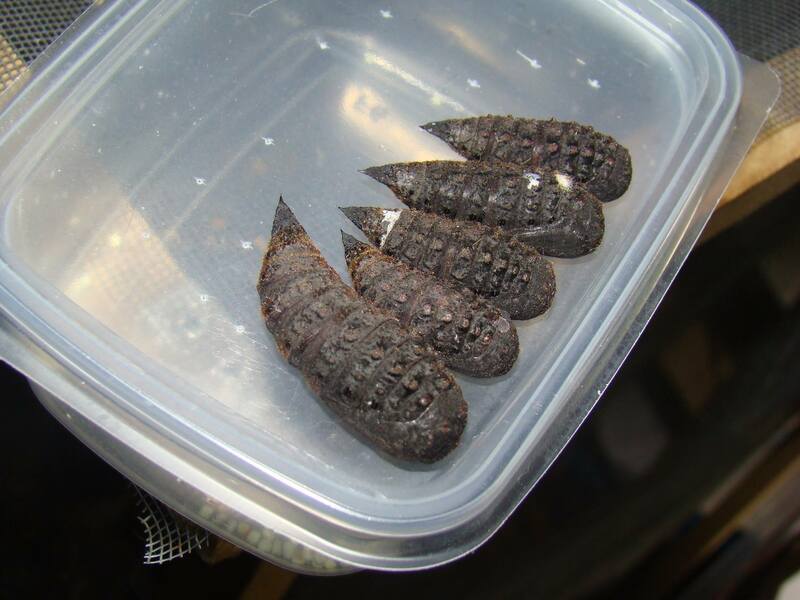 The small caterpillars should be reared in closed boxes until the third instar – the last two instars should be sleeved or caged. Compared to other Citheronia species, the moths and caterpillars are on the smaller side. Citheronia laocoon seems to pair very easily at different times of the day – I’ve seen them couple up at dusk, in the middle of the night and even the early morning. The awesome and impressive female of Pallastica mesoleuca – a giant among Lasiocampidae. The credit for this rearing goes to my friend Marcel van Bijnen, who kindly provided me these images. When he was traveling through Uganda, he encountered an impressive caterpillar, one that turned out to be of the Lasiocampidae moth Pallastica mesoleuca. The caterpillar of Pallastica mesoleuca, an impressive beast covered with spines. Not much at all is known about the biology of this moth. 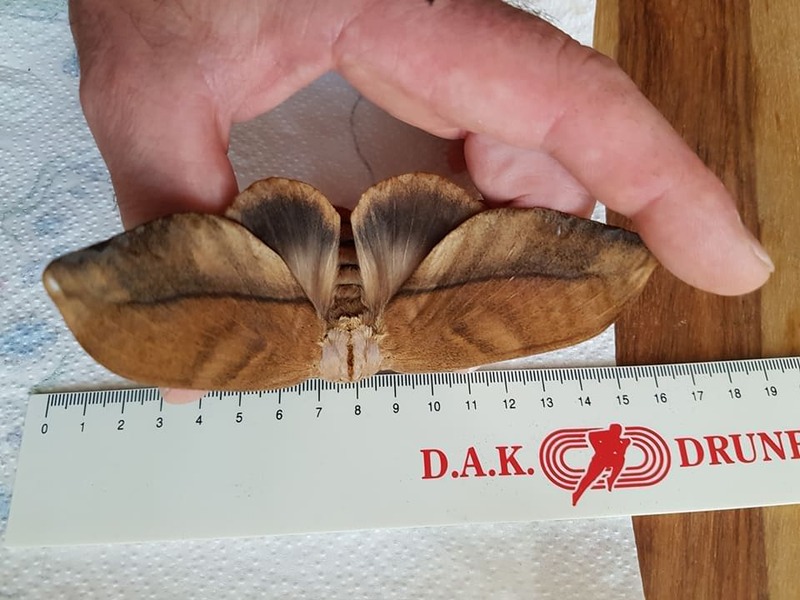 My friend Marcel from the Netherlands has encountered and reared this moth in the wild. This small article illustrates the larva, cocoon and adult female that hatched from it. 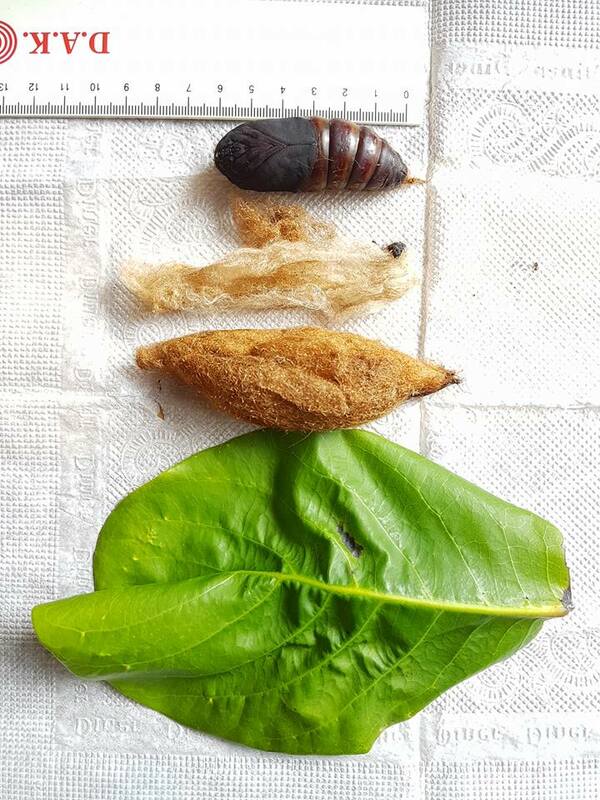 The pupa and cocoon of Pallastica mesaleuca, including a leaf of the natural host plant that remains unidentified. Paradirphia semirosea is a very small, cute, and nice Saturniidae moth from Central America. When disturbed they will assume a threat pose and reveal their bright red abdomen with black stripes; a colour warning that may scare off some predators. From the soft pink colours to the creamy golden/white stripes on the wings, red legs and beautiful fluff on their back t is a shame they are rarely offered as livestock. The good news is that Paradirphia semirosea is easily reared in captivity. The larvae are gregarious like many species of Hemileucinae, although in the final instar they become solitary and will need a little bit more space for themselves, although they still tolerate living in a high density of larvae. They do grow a little slowly, but that shouldn’t be a problem. Important is not to keep them wet. I reared them in plastic boxes though they should do even better in cages. Adult Paradirphia semirosea in resting position. Pretty in pink! When fully grown, the larvae of Paradirphia semirosea will burrow and form a naked pupa in the soil, without spinning a cocoon. The tiny pupae seem very hardy and will survive for a long time in room conditions and may even take a long time to emerge too. Simulating a rainy season (keep them dry for a long time and then suddenly spray with warm water) may trigger them to emerge faster and more synchronised. Like most Hemileucinae the larvae have urticating spines. The sting is not that bad though and is comparable to that of a common stinging nettle. It will make you uncomfortable for a few minutes, but it is tolerable, and not very painful. That being said the sting is worse than the average Automeris however. Like many tiny species of Saturniidae the moths are short lived. Pairings should be easy to archieve in an airy cage. The most tricky thing is getting a pair out since the emergence time can be a little sporadic and they are short lived. Paradirphia semirosea larvae: a handfull of stingers! 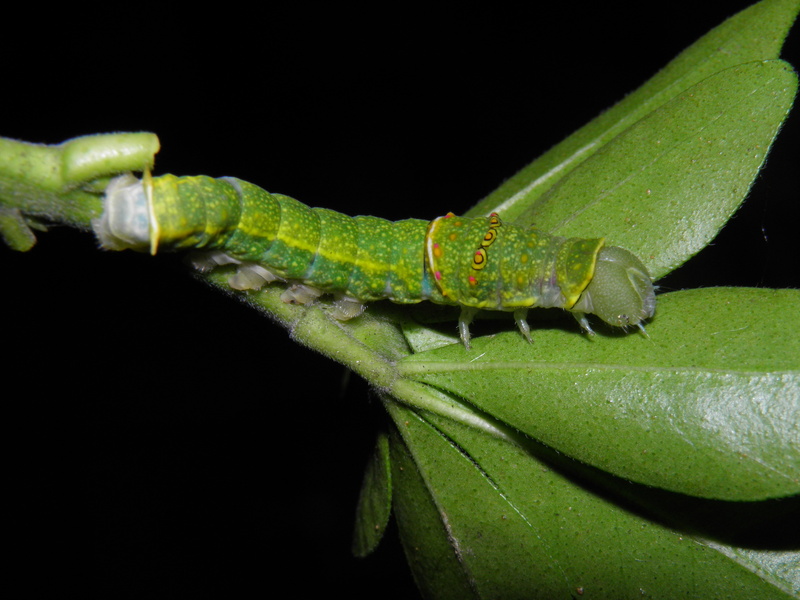 “Assassin caterpillar” or, in Spanish, “taturana”—these are the names appointed to caterpillars of the genus Lonomia. It’s a name rightfully deserved: Species of the South American genus Lonomia are of medical significance due to their larval forms that may cause severe envenomation and even death to humans. Lonomia is often considered to be the most venomous genus of Lepidoptera, in particular L. obliqua, of which the hemotoxin is known to inflict severe envenomation and cause disseminated intravascular coagulation and haemorrhagic disease in victims. Lonomia electra is the first species I have reared from this genus, and I fell in love with them. After studying their life cycle for 1.5 years and publishing this data, I now have extensive knowledge of this species. 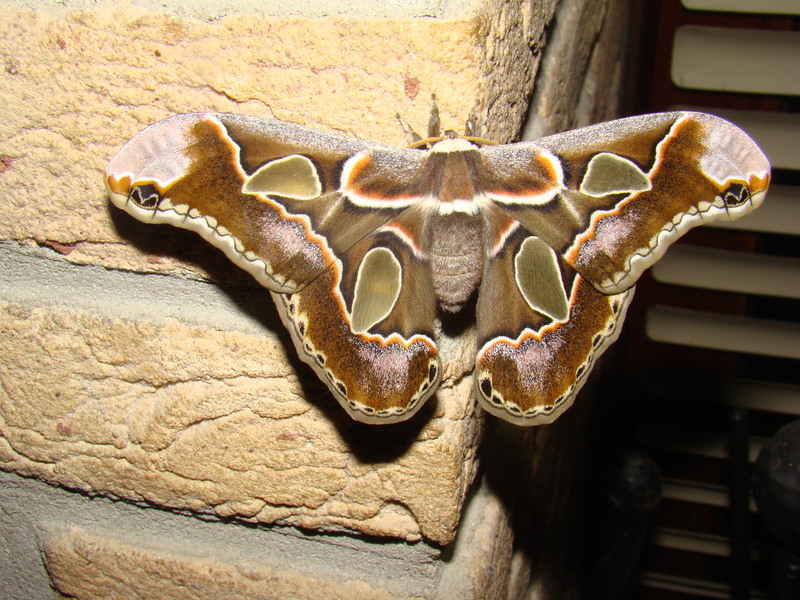 For those interested, here is some background reading and my publication: Up close and personal with venomous moths (AES) or for the .pdf file of the scientific publication: Click here for science! These Lonomia from Costa Rica seemed to do quite well on Ligustrum ovalifolium in captivity. A lot of patience is needed to rear them as they larvae have an extremely slow development rate for a Saturniidae (I recorded over 100 days). Eggs seem to take a month to hatch aswell. Lonomia seems gregarious up until the final instar – this means they exihibit social behaviour for the entirety of them being caterpillars. They seem to tolerate being reared in plastic boxes with no ventilation at all quite well and withstand the highest degree of humidity. The rearing takes quite a lot of patience, however it seems that the pupae hatch quite fast (in a month). Pupae should be sprayed frequently as this species seems to prefer a higher degree of humidity and pupae dessicate rather fast. The larvae do not spin a cocoon before pupating; in fact they will lazily lie down on the floor and pupate on the spot. They do not even seem to attempt to burrow that much – I theorise that in their natural habitat the larvae pupate between the leaf litter covering the forest floor, giving them the opportunity to just lie down somewhere on the ground and pupate. The adults seem to exihibit nice polymorhism. The females are always grey (though significantly larger than the males) while the males have two different colour forms: one orange/brownish rusty colour, and one lighter yellow form. In the picture: one larger, greyish female (botton left) and three males (top) – showing both colour forms the males can have, the orange and yellow form. Actias maenas, the Malaysian moon moth, is a species with a broad range from the mainland of most parts of the Indomalayan ecozone. They are highly sexually dimorphic, and one of the larger moon moths of the genus Actias. Actias maenas is quite easy to rear in captivity, and accepts host plants within Rosaceae such as Prunus, Malus and more, and also Liquidambar, which is to be recommended for this species. 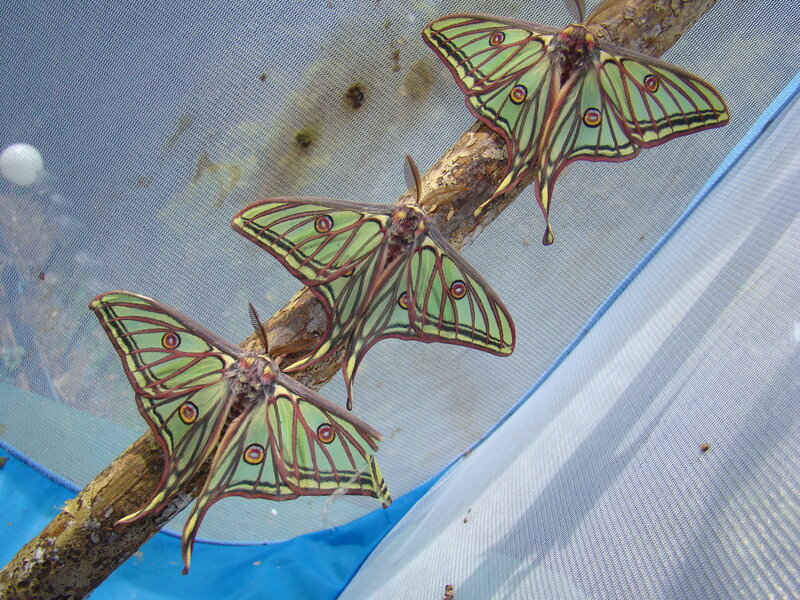 Their larvae will grow quite large, but do grow slowly compared to other Actias species. I myself prefer to rear them on plant cuttings in a water bottle. The only thing that seems to be more difficult with this species is archieving pairings, it’s best to have a lot of flight space and a bit of ventilation for them. This fragile species will tatter quite fast. Males often break off their hindwing tails within a few days. Welcome on my page about how to rear and breed Graellsia isabellae. Graellsia isabellae, the Spanish moon moth, is a marvelous insect that is endemic to the mountainous regions in the Alps and Pyrenees in Spain, France, and Switzerland, though in the latter country has been speculated to be an introduction. Three freshly emerged males resting on a stick in captivity. One has already torn a wing, males of this species are very frantic and active. Graellsia isabellae is a pine tree feeder, and I recommend using Pinus sylvestris over any other kind of coniferous trees, as it is the native host plant. Pinus strobus is another viable second choice, and thirdly, though not optimal, it may accept fir or spruce such as Pseudotsuga, Tsuga, or Picea. The moths live in high altitude pine forests. Though the habitat may reasonably heat up during the day, which are rocky and dry pine forests, at night and in winter the species is also subjugated to rather harsh cold, due to the high altitude. Moths, after spending the winter as diapausing pupae inside their cocoons, emerge in early summer, from May to early July, after which they reproduce, and leave the next generation of larvae to feed on pine trees. Cocoons will always overwinter until the next spring, as this species has only one generation a year. The larvae, with stunning lime green camouflage, develop reasonably well in plastic boxes. They must be kept clean and dry, they are not fond of high humidity. It is also better to rear them in low density, and not include too much larvae per rearing box. Nederlandse Entomologische Vereniging (NEV) – NL De NEV is opgericht in 1845 en heeft als doel de studie van insecten, spinachtigen, duizendpoten en miljoenpoten te stimuleren. De vereniging verzorgt en bevordert daarvoor het contact tussen entomologen in Nederland. Worlds Largest Saturniidae Site Become a member now and get access to the best website on the internet for Saturniidae; it contains information on nearly all species, including pictures, host plants and distribution. Everybody that studies this group should be a member.